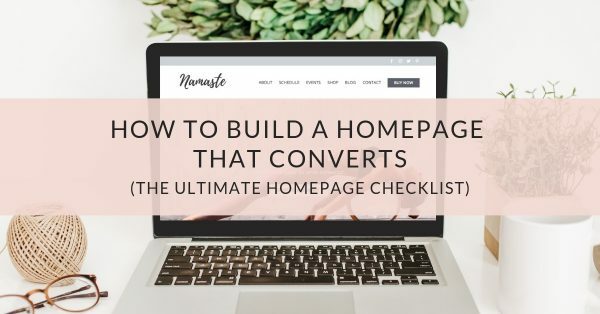 Whether you’re a fresh yoga teacher looking to set up your first website, or an established yoga brand, you probably already know that building a website isn’t easy. However, if you are laboring under an incorrect set of assumptions, it’s even harder. 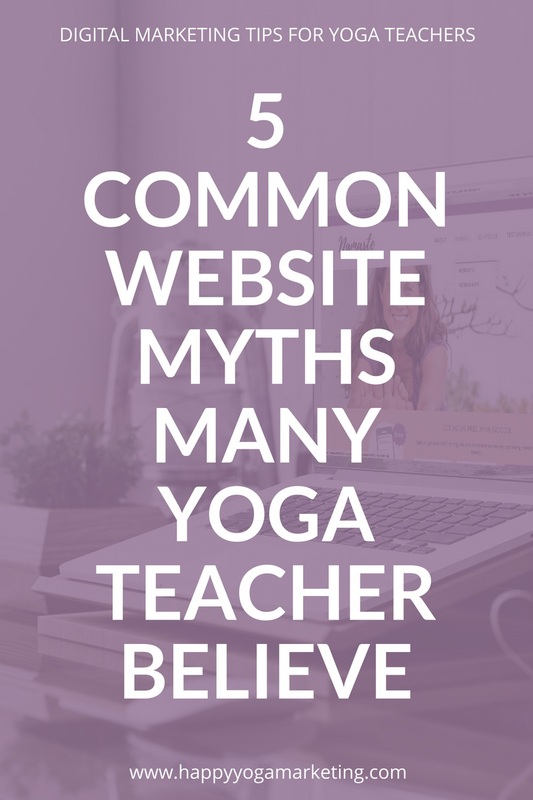 In this post, I want to debunk some of the most common myths about websites that yoga teachers have that you should stop believing right now. Many yoga teachers think that because they already have a Facebook page or Instagram profile, they don’t need a website. You can post your schedule, updates and events there, right? The problem is that thanks to the algorithm both Facebook and Instagram use, just a few of your followers will actually SEE your posts. Building your brand on social media is like building your house on someone else’s land. Be active on social media but make your website and your email list your hub. Invest your time and money into marketing channels that you truly own. You’ll still have to make all the decisions: on colors and fonts, your logo, what content you want to show, your copy… it’s a whole lot and you need to schedule some time for this if you want your website creation to be an inspiring and fun process and not totally overwhelming. There is no magic website fairy that will take all that away from you and I recommend that you embrace this process and enjoy it. Marketing yourself is essential for having a successful yoga career and your website is a big part of it. Be involved and make your dreams come true. How I wish this would be true. But building a website is more like buying a car, only instead of changing oil and buying gas you must maintain it, update content, stay up to date with legal requirements and more. To keep your website afloat, set aside a few hours each month to go over your content, make changes, and update plugins. Once a year I recommend a more thorough spring check for your website. And every few years look at it with a critical eye and decide if it may be time for a relaunch. While I don’t think your website needs to be designed by an expensive designer, first impressions count. If your website is outdated and full of errors, it will reflect poorly on the quality of your teaching. You’re a professional and you need a professional looking website. This means your website should be easy to navigate, have a design that represents your brand, is responsive (this means it looks good on a smartphone, too) and has no obvious grammar and spelling mistakes. Fortunately, this doesn’t mean you have to spend heaps though, check out my Blissful Websites Course course if you want to learn how to set up your website yourself. Having a website doesn’t mean that new customers will automatically find you on the first page of Google when they search for yoga. Or yoga in your city. Or yoga retreats. Even doing all the things you’re told to do, like including key words everywhere, is not going to magically put you in the coveted top-10 search results for any given keyword. URLs that have been around for a while get a higher ranking from Google, so you need a bit of patience. Your best bet to get more visitors is to consistently publish content, for example with a blog. Think about it: If you publish 1 blog post a week, after a year you have 52 additional pages that Google can index and use to direct traffic to your website, compared to your basic 5-10 pages. 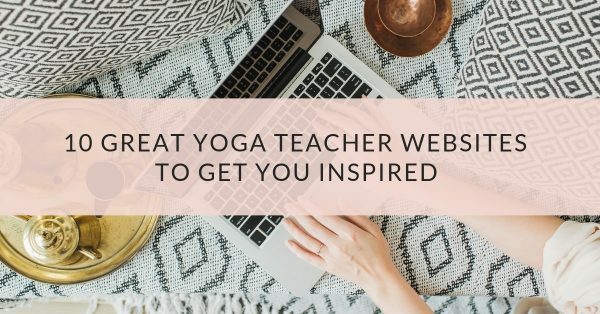 Building a great yoga website doesn’t have to be scary or overwhelming. 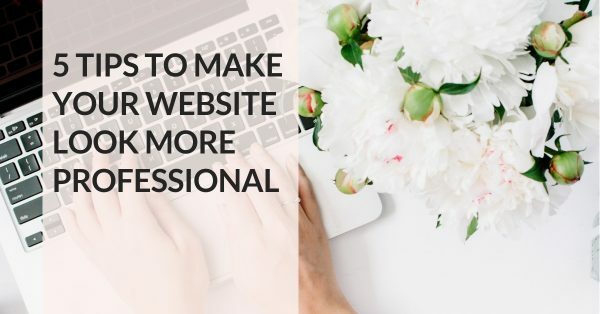 Thanks to the advances in technology it’s never been easier to build your own website, even if you’re feeling totally tech-shabby, and with a little bit of support the website of your dreams is only a few clicks away. Hi there, I’m Susanne. I’m a marketing expert, yogi and traveler obsessed with all things marketing. My mission? To help you build a successful business and do what you love. Before you leave, make sure to sign up for my newsletter for the most up to date resources, masterclasses and freebies coming to you weekly!